Twelve African startups that have developed solutions to improve financial health for consumers and or businesses have been selected by venture capital firm Village Capital for its Village Capital Fintech Africa 2018 programme. The VC company made the announcement yesterday. This is the second cohort Village Capital has run since the launch of the programme in late 2015. The 12 selected startups, which are all based in Kenya, Uganda and Nigeria, were selected from an applicant pool of 165 applicants. 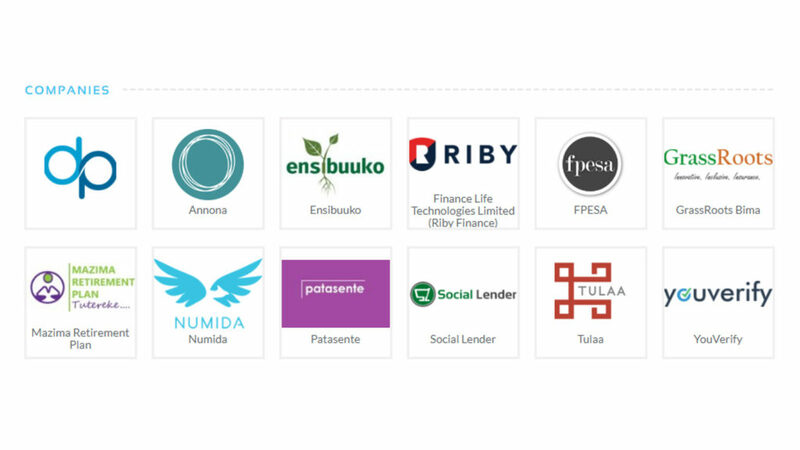 “We’ve selected 12 early-stage African fintech startups focused on improving financial health. We’ll offer $50 000 investment each to the top two entrepreneurs in the programme, as selected by their peers,” Village Capital marketing manager Ben Wrobel said in an email. “We specifically sought out startups that address insurtech, pensions and savings, cooperative finance, and financial literacy; leverage data for credit scoring and consumer insights; and apply fintech to our other sectors of interest: agriculture, energy, education, and health,” said Wrobel. The venture development programme, which is run in collaboration with online payments company PayPal, will see the selected startups participate in three four-day workshops in Nairobi between this month and May. During the workshops, which aim to make the companies more investment ready, the startups will work with potential customers, strategic partners, mentors, investors, financial services experts and Pay Pal employees. Annona: This Nairobi-based technology platform helps small-scale producers fulfil contracts and make digital payments by digitising global supply chains. FPESA: Founded in 2015, this startup’s service enables users to obtain alternative quotes, negotiate online, convert and settle foreign currency transactions. GrassRoots Bima: Established in 2016 to address the insurance needs of the mass market through innovative inclusive insurance, this insurtech company helps customers access insurance services in a simpler more transparent way. Tulaa: Founded in 2016 and based in Nairobi, with operations in Ghana, this mobile-based marketplace enables smallholder farmers to access agricultural inputs, affordable finance and markets. CredPal: Enables users to make purchases across various online and offline merchants with the ability to pay for it in installments. Finance Life Technologies Limited (Riby Finance): This fintech company has developed a smart finance platform that enables cooperatives, associations and trade groups to automate and manage their financial transactions. Social Lender: Founded in 2014, this lending solution aims to enable people with limited access to formal credit obtain cash loans based on their social reputation on mobile, online and social media platforms. Youverify: Using artificial intelligence (AI), this startup delivers background checks and helps businesses verify individual’s identities and addresses in Africa. Ensibuuko: Through its cloud-based micro-finance platform, Mobis, Ensibuuko helps savings and credit cooperatives automate how they manage customer and transaction data. Mazima Retirement Plan: Based in Kampala, this company aims to help those working in the formal sector save for retirement. Numida: Founded by Ben Best, Mina Shahid and Catherine Denis, Numida is working to assist small African businesses to access fair and affordable credit directly from their phones. Patasente Inc: This Kampala-based online supply chain financing platform enables businesses undertake eprocurement, settle payments and receive working capital loans against orders and invoices.